Sorry we missed each other. The link you are trying to access has expired. Here are a few options to hold you over. Do you wish you had more money in your pocket? Or understood where to get started? Do you feel over-whelmed by all the information being thrown at you about money? This e-book provides 5 Strategies you need to know in order to put more money in your pocket without over-complicating it. I created this 30-page budget workbook to create supportive materials to be a resource and how-to guide to dream, plan & create the life you want. 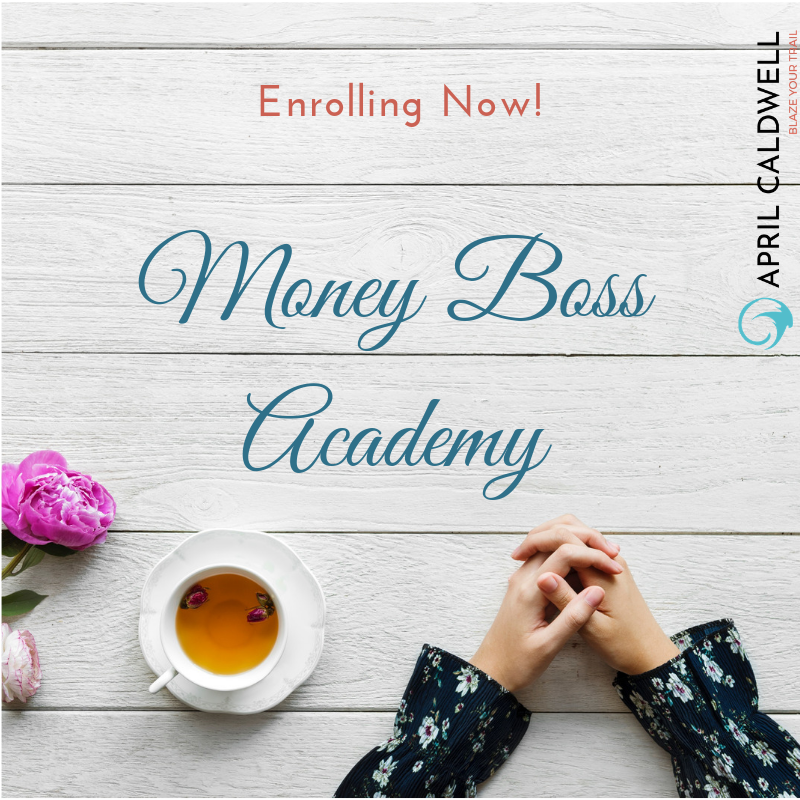 Exclusive, Limited Opportunity to join my live, online group coaching Money Boss Academy. Life Changing Planning in 6 Weeks: Align your money with your values, conquer your debt & stop stressing about money.